A once-a-month potluck where people bring wonderful food and recipes. There is also an educational talk by Dr. Lowe or an educational health-based video that is shown. 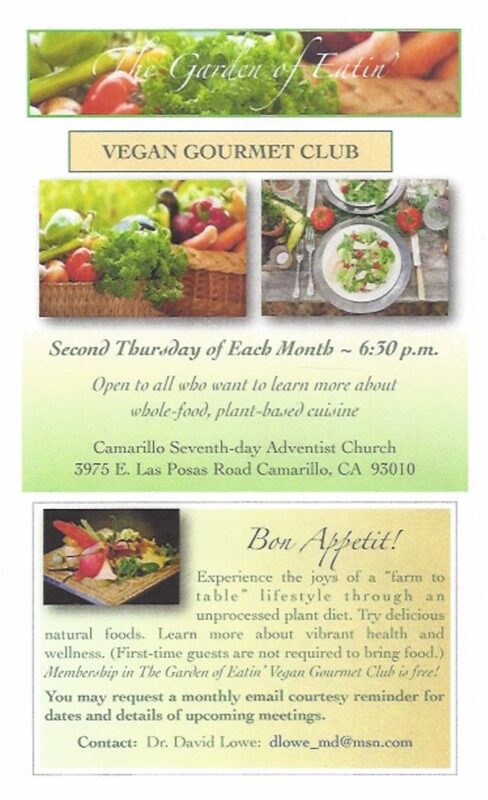 You won’t want to miss this awesome gathering of like-minded people who are living the life – the healthy life!